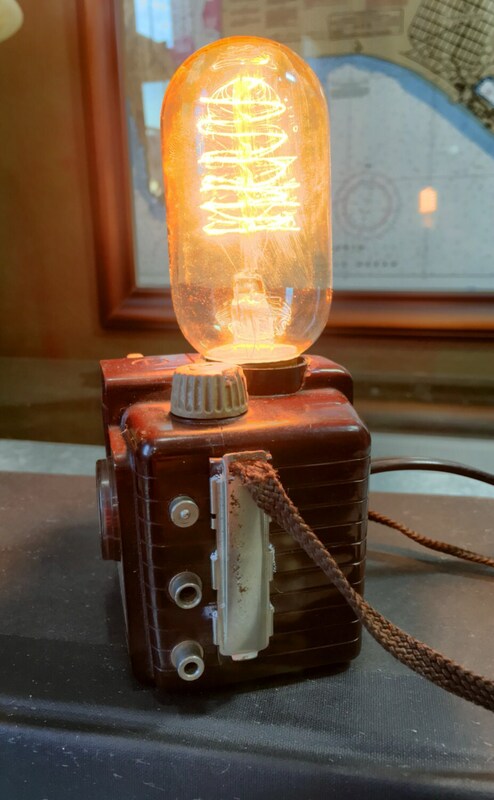 Lighting Lamp . 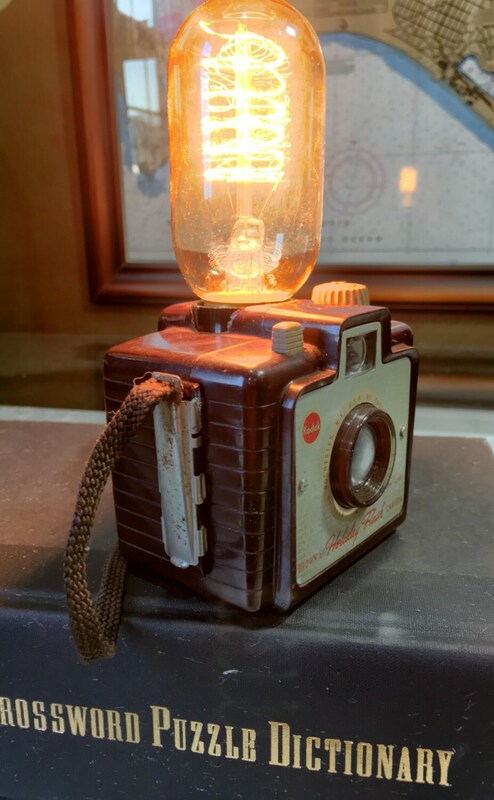 Vintage Brownie camera lamp. 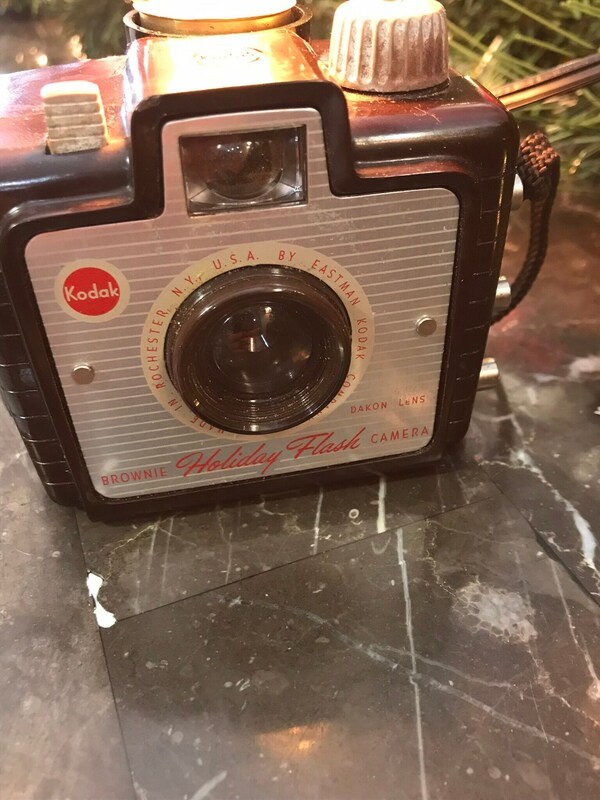 Perfect gift for photographers. Unique gift. 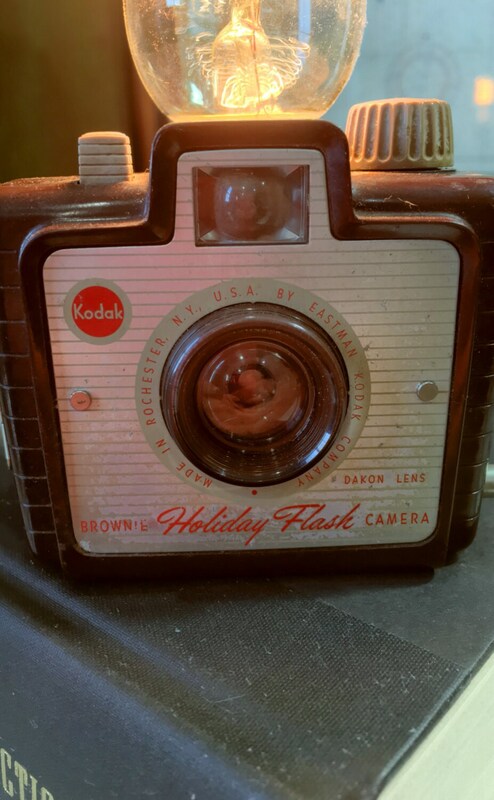 Holiday Flash Brownie camera from the 50s . 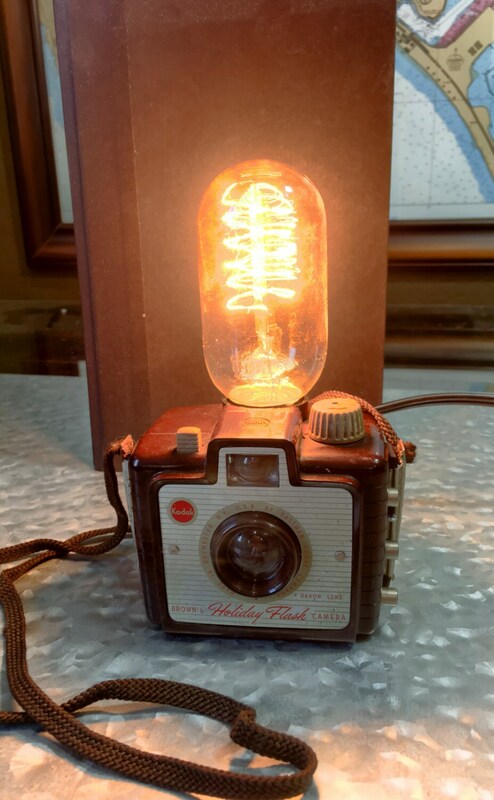 Perfect little lamp for any room . Unique and sweet. Flush mounting so only the camera shows . 4in wide x 3 in tall. 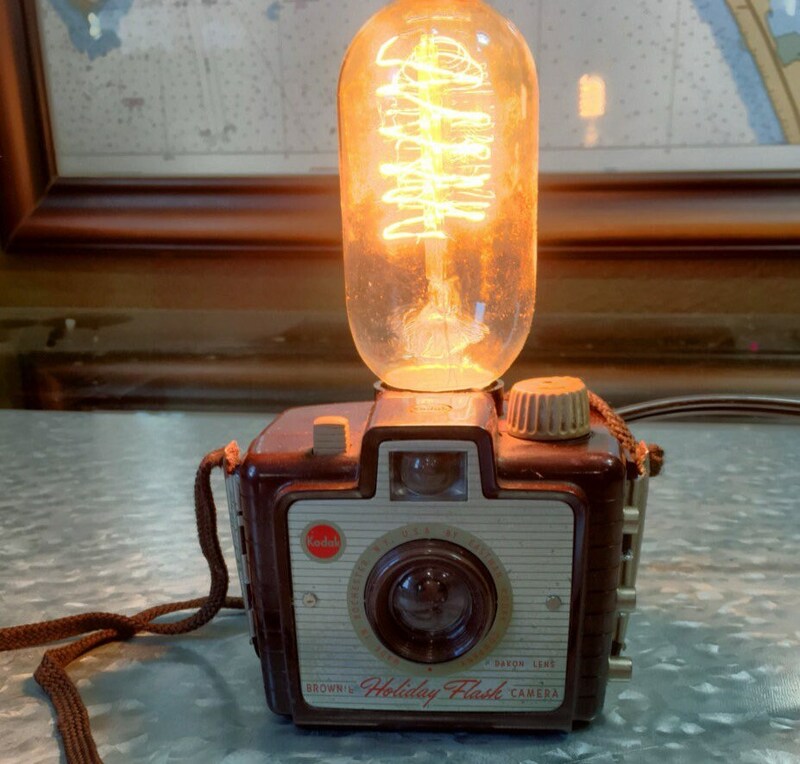 With bulb 7 in tall. This camera sometimes comes with a fabric carry strap. Typically it doesn't...it's cute as a button either way.